Some highlights included a Britten V1000, 1 of only 10 ever built. If you wanted one, you’d probably need at least a million dollars, and then you’d need to wait about a million years until one of the current owners finally decided to sell. 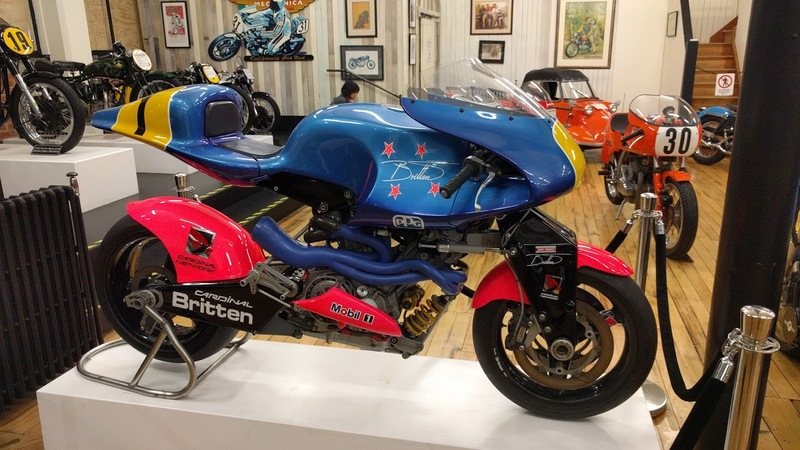 Oh yeah, I forgot to mention, for anyone who doesn't remember the excitement around the time in the early 90s when Britten launched this bike, just for sake of comparison. Great pics as always, Nev.
Why is Jo sitting down in almost all your photos? 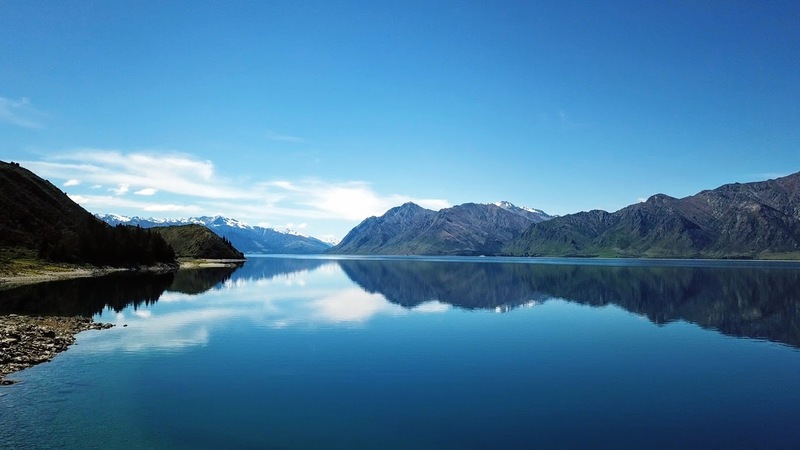 We spent a day in Queenstown as tourists. Queenstown is very touristy. Everything revolves around the tourism industry. I’d hate to be a local, because everything costs tourist prices here. We went for a ride up in the Gondola to the Queenstown Skyline. From here you can do paragliding, bungee jumping or ride on the luge. All of these at extravagant prices. We just had morning tea in the cafe and enjoyed the free vistas across the lake. At the bottom of the gondola we visited the Kiwi wildlife park. It’s almost impossible to see a kiwi in the wild in NZ and even in a couple of places we’ve visited which have kiwi enclosures and birds in captivity it’s almost impossible to view them up close, but this establishment did have an enclosure which encouraged the kiwis to make themselves be seen without feeling vulnerable. Day 9 Queenstown to Lake Hawea. We got off to a fairly early start, and headed straight up to Coronet Peak. Near the top we took the Skippers Canyon turnoff. The road was very slippery. There was grading in progress and it looked like some sections had been visited by the grader just before our arrival. When we got to the bottom of the canyon, the location of the Welcome Home Hotel (or at least the location of the chimney which remains) Jo let me know she wasn’t having much fun on this road, so we turned back and headed back up the hill. It was good timing really, because near the top we hit the first few 4wd of the morning heading down into the canyon, and after we reached the top there was a steady stream of minibusses and 4wds full of tourists heading down. Then we continued up the mountain to the Coronet Peak skifields. There was no skiing going on, but the adventure sports were in full swing. We were there for about 15 minutes and watched 2 hang gliders and 1 parasailer (each being tandem units with a paying customer strapped in) launch off the side of the mountain. Back down the mountian and we turned left towards Arrowtown. We stopped for morning tea at a cafe set up in the paddock where the paragliders and hang gliders and tandem skydivers land. 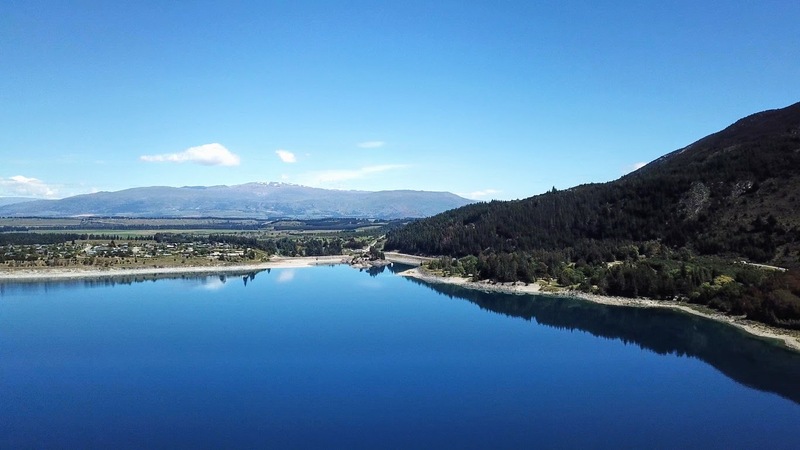 On both of my previous riding trips through this area I’ve headed north over Crown Range to Wanaka, so today we continued east and south to Cromwell, through Cromwell Gorge and down to Alexandra where we lunched before taking the return trip up through Cromwell Gorge to Cromwell again. 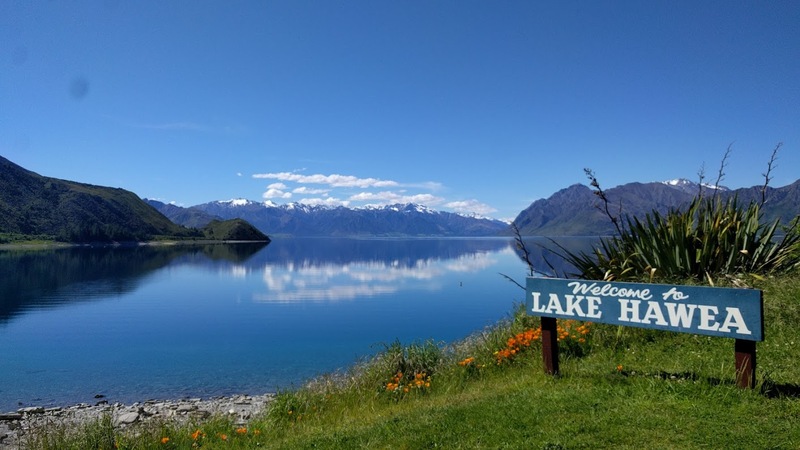 Past Lake Dunstan and further north to Lake Hawea where were spent a relaxing afternoon in the shade of the trees by the lake in the caravan park.